SBK Motoworks: Spot On Contest – Best Cornering Action! 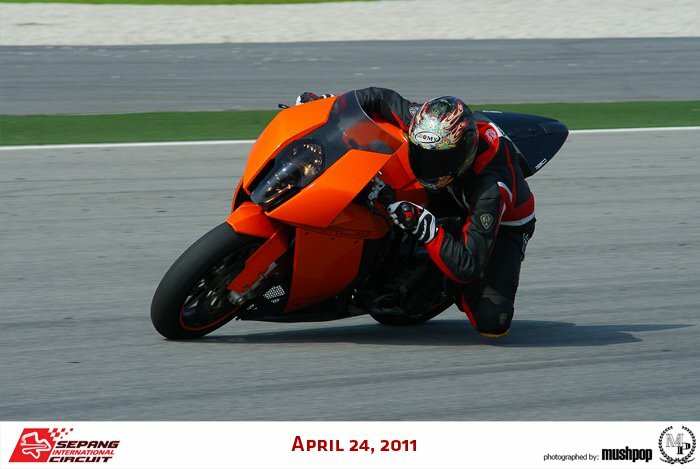 Come and join DDM Track day and get spotted by DDM professional photographer. You will win mysterious gift from SBK Motoworks! So, warriors say CHEESE.... at Turn 2 or 4! For booking, pls call Faizul 014-4406267 or Shahrul 019-3365504. To the KTM RC8 rider, kindly contact Mr. Dann from DDM Motorsports to claim for your mysterious gift!